February 11, 2019 By David A. In just over a month, the NCAA Tournament begins with what is affectionately known as March Madness. Odds makers have made the Duke Blue Devils the clear frontrunner to win the national championship thanks to Duke’s trio of freshmen stars that will one day very soon be stars in the NBA. 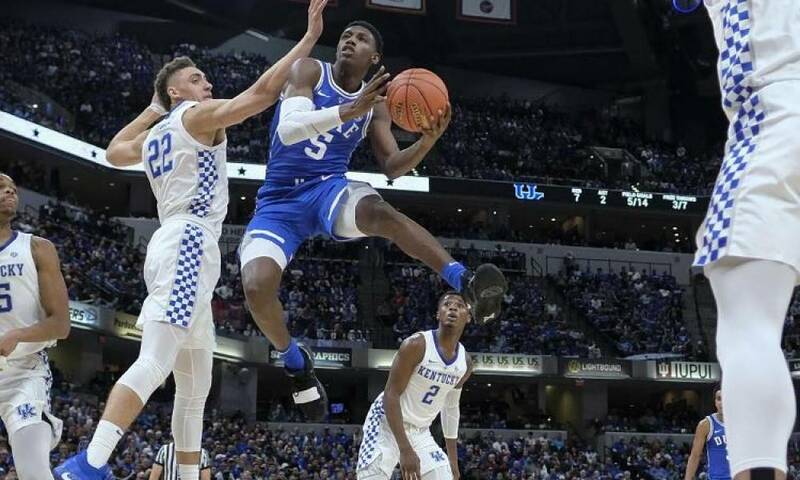 Duke is currently 2 to 1 to win the national title thanks to coach Mike Krzyzewski’s talented one and out players R.J. Barrett, Zion Williamson and Cameron Reddish. This is Coach K’s 39th season at the helm in Duke and he has won five national titles as the Blue Devils head coach. On Saturday, Duke was No. 2 in the nation and ended its week with a solid win over No. 3 ranked Virginia. Want $250 to bet on March Madness futures? The Gonzaga Bulldogs at 6 to 1 have the second best odds to win the national title. Gonzaga was ranked No. 4 in the nation as of the start of play this past weekend. The Bulldogs’ odds to win the national title are better than two teams that are currently ranked higher than they are in the national rankings. Tennessee, which is ranked No. 1 in the AP Top 25 has odds to win the title of 15 to 2, while Virginia ranked No. 3 in the nation has odds of 13 to 2. 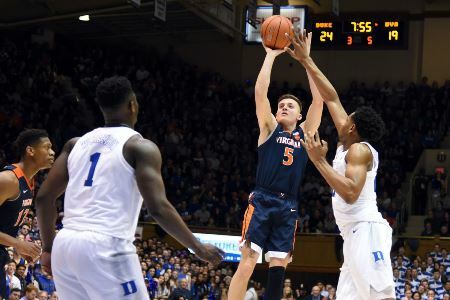 Virginia’s national ranking will fall later on Monday after losing to Duke on Saturday. Other perennial favorites include Michigan with the fifth best odds to win the title at 9 to 1, while Michigan State and Kentucky are both sixth with odds of 12 to 1. The Wolverines, currently ranked No. 7 in the nation, have not win the national title since 1989 and were runners-up last season. Kentucky, which is currently ranked No. 5, won its last national title in 2012 and last played in the final in 2014. Other notables include North Carolina at 20 to 1, Nevada at 22 to 1 and Kansas at 30 to 1.